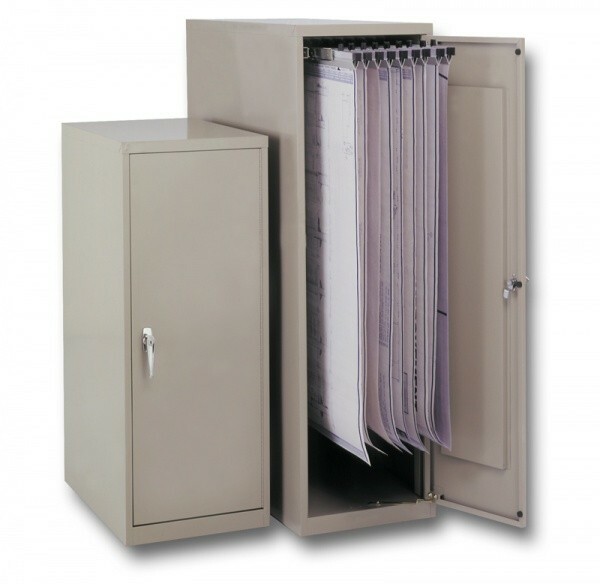 Safco Vertical File Cabinets - GS Direct, Inc. Heavy-duty steel enclosed cabinet holds up 1,200 documents with 12 hanging clamps (order separately). Stored documents are easy to access via drawers that slide smoothly steel ball-bearing rollers. Piano-hinged steel reinforced door can be mounted on left or right hand side, comes with key locked handle. Tropic Sand color. No assembly required.